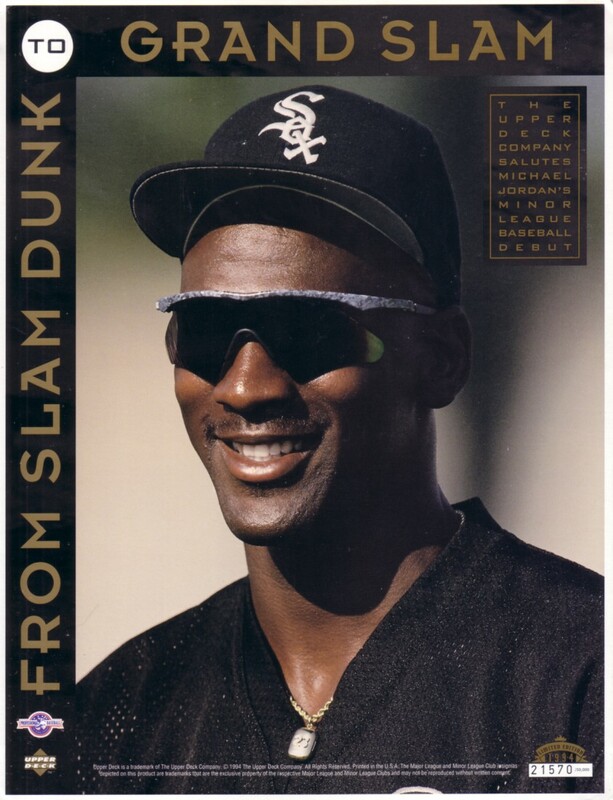 8 1/2 by 11 inch card sheet issued by Upper Deck in 1994 to commemorate Michael Jordan's baseball career (From Slam Dunk to Grand Slam). Has moderate corner wear and other flaws. Individually numbered out of 50,000 produced. ONLY TWO AVAILABLE FOR SALE.